View More In Ovens & Toasters - Page 4. Unity's Cookmate Toasters are the "toast" of all toasters! Designed in historic Philadelphia, PA every Cookmate Toaster is a labor of love from our family to yours. This toaster is fit for your family's everyday needs. With Cookmate Toasters you get all the fancy features without the fancy price! We also listen to all the comments made by our customers in an ongoing effort to provide uncompromising quality. 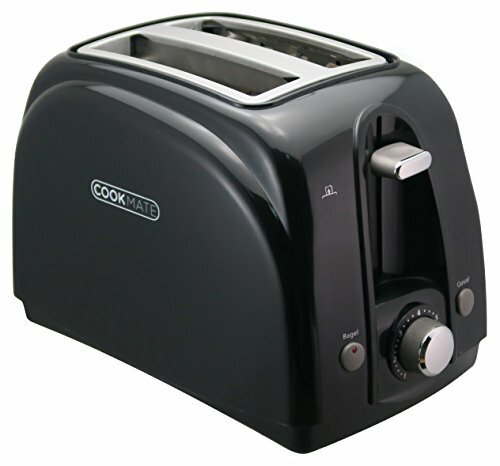 Cookmate's Classic 2-Slice Toaster is a fantastic toaster that is built for performance. First we took a classic design, added 750W of pure power, piled on premium features, and stamped it with the Unity seal of quality! It is sleek, powerful, and comes fully loaded with premium features such as Anti-Jam Auto Shutoff; removable crub tray; 1-7 Toast Control; Bageland Cancel Buttons; and more. This toaster will last you for years and is fully guarenteed by Unity-Frankford for up to one year. Unity-Frankford offers high quality housewares at affordable prices. We pride ourselves on bringing our customers great quality at a great price. If you have any questions about this product by Unity-Frankford, contact us by completing and submitting the form below. If you are looking for a specif part number, please include it with your message.